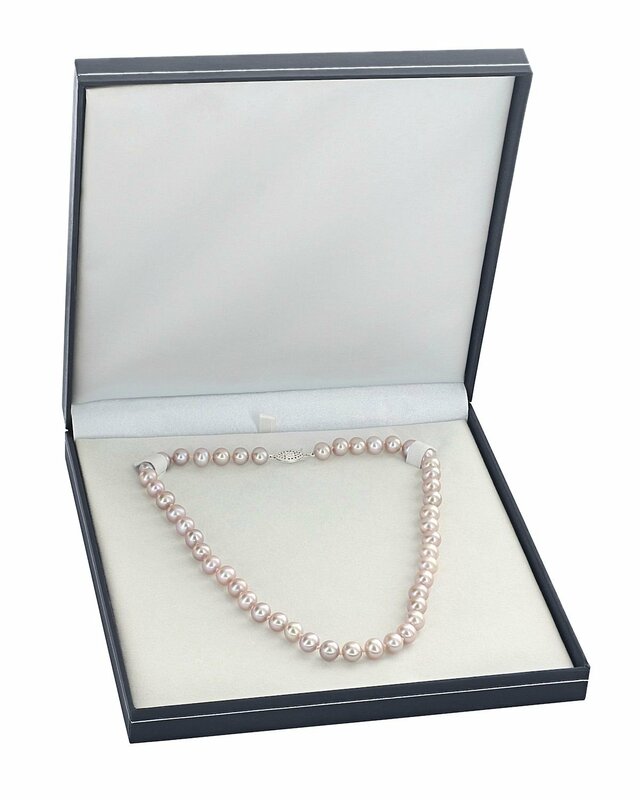 This 7-8mm pink freshwater pearl necklace is certain to be a favorite for any occasion. 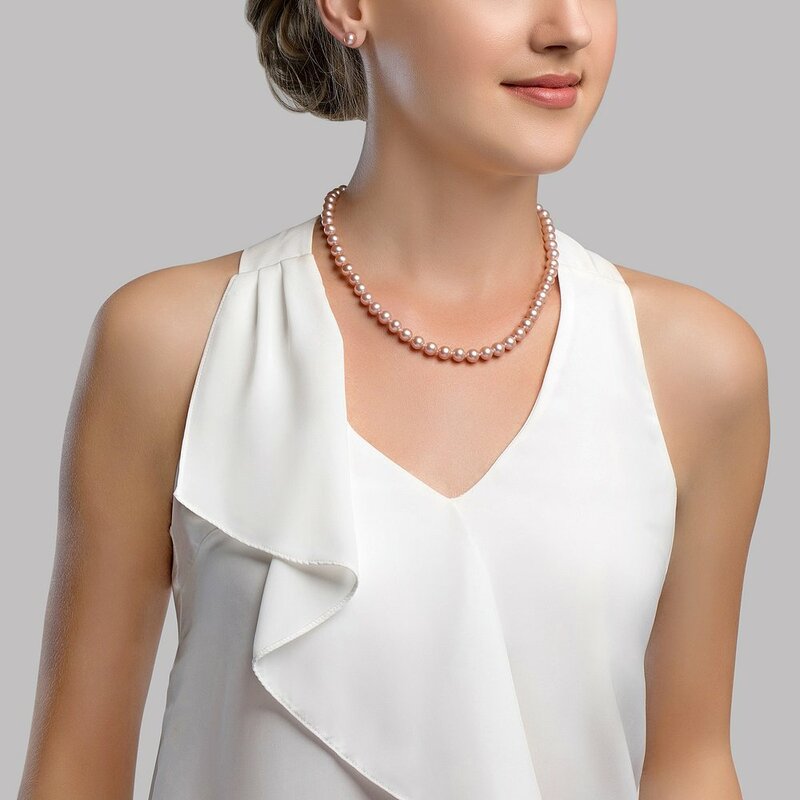 This pearl necklace is compiled of GEM-quality AAAA quality hand-picked pearls with 'Very High' grade luster, our highest grade available in every category. 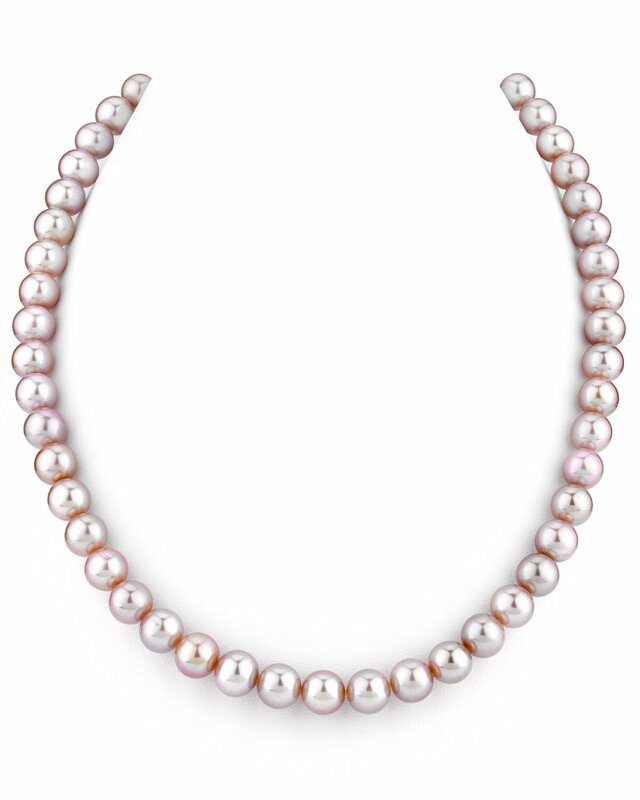 The pearl necklace is lavender/pink and comes affixed with a beautiful sterling silver clasp or optional gold clasp. If you have any further questions, feel free to call us anytime at 1-866-87-PEARL (1-866-877-3275). I’ve bought a South Sea white pearl necklace, black Tahitian pearl necklace and a golden pearl ring and I have been satisfied with my purchase! The perfect overtone of pink pearls!